Yesterday I posted our Chocolate & Puffed Quinoa Krispie Treats and today I thought I’d try the recipe with caramel instead of chocolate, using our Raw Caramel Recipe, and they are divine! Again using quinoa instead of Rice Krispies for gluten free, organic, protein-filled goodness. 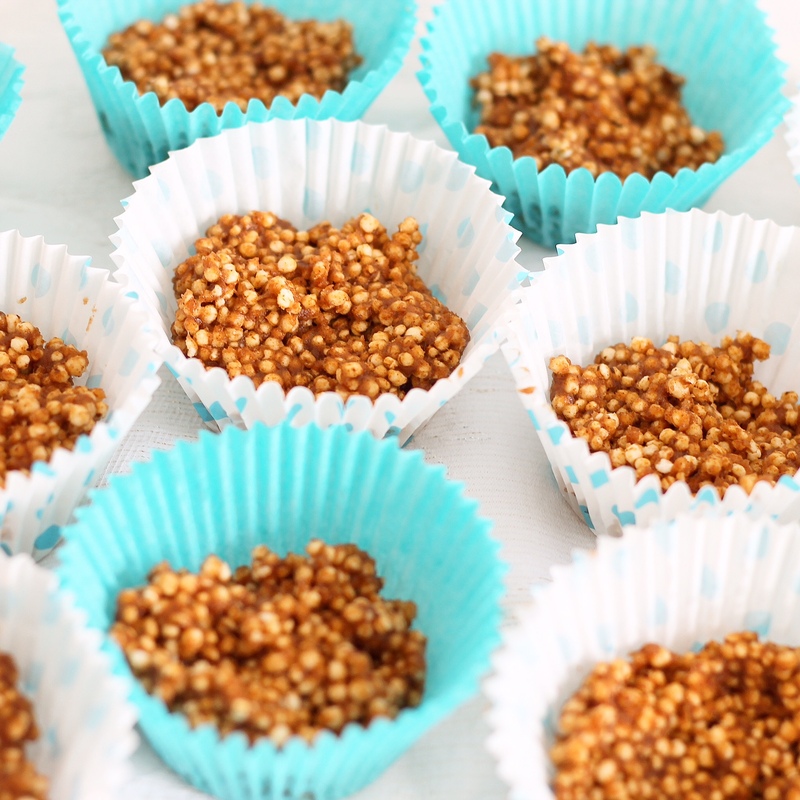 Make the caramel as per the recipe above then put the puffed quinoa in a bowl and pour the caramel over. 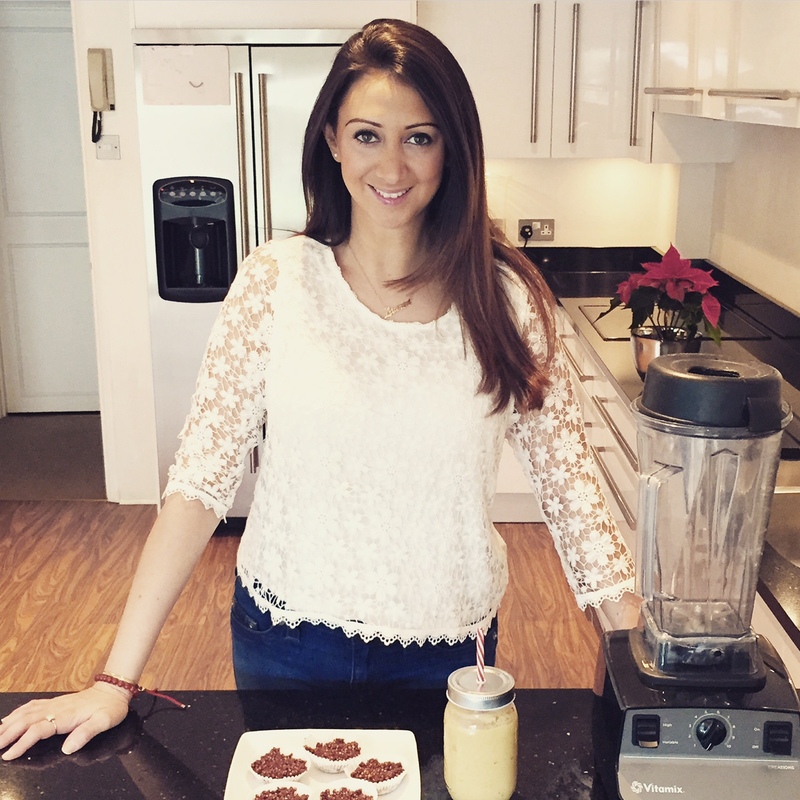 Mix it well, you might need to squish it all over with your hands – the kids will love it! Arrange some muffin cases in a cupcake baking tin and add some of the mixture to each case, then put in the freezer for 45 minutes. Once ready you can keep them in an air-tight container in the fridge. These look so cute! Love them in the muffin liners!